In a young eye (less than about 40 years old), the lens is fully transparent and also flexible. The lens muscles can easily change its curvature from steeper to flatter, and give you clear vision at all distances. But during middle age, usually beginning in the early 40’s, the lens becomes less able to change its shape, so people experience blurred vision at near points, such as reading, sewing, or working at the computer. This is known as presbyopia. Dr Gulani describes this as an age-related loss of “Zooming power” (tele & wide, like a camera) of your natural lens inside your eye. Given time, presbyopia happens to everyone and cannot be prevented. Also, you can have other conditions (like cataracts, nearsightedness, and farsightedness) and presbyopia at the same time. In fact, you can even have 20/20 vision, but still need reading glasses because of presbyopia. 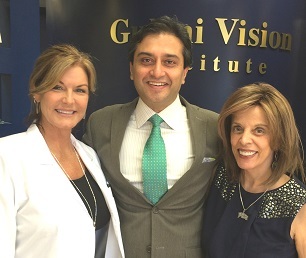 In customizing your vision correction, and addressing the eye problems contributing to it, Dr. Gulani considers what is best for your specific case. For instance, when your natural lens is clear, or even if you have had cataract surgery, Monovision (the non-dominant eye is focused for near), very much like that with contact lenses, can be achieved with Laser Vision Surgery to assist this condition. When using Monovision to treat presbyopia, Dr. Gulani corrects one eye for near and the other for distance. This allows both eyes to work together to see at all distances. When your natural lens has become a cataract, cataract surgery with a Multifocal lens implant may be an option that can clear your cloudy vision (from a cataract) and restore your ability to zoom (presbyopia). Cataracts are the formation of tiny lens opacities that occur when we age. This blocks light and reduces vision. Dr. Gulani can treat cataracts by removing the cloudy cataract lens and replacing it with a new artificial lens called an intraocular lens (IOL). 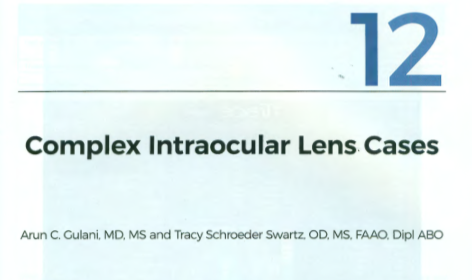 Traditional cataract surgery replaces the clouded natural lens with a Monofocal, or single focus, intraocular lens that leaves the patient dependant on glasses. New generation Multifocal lenses (like bifocal/multifocal/progressive glasses) now allow most post-operative cataract patients the convenience of seeing well at distance and near. Today, premium Multifocal lenses like ReStor, ReZoom, Crystalens and other such technologies are available for Dr. Gulani to select the best lens optics for your eyes. 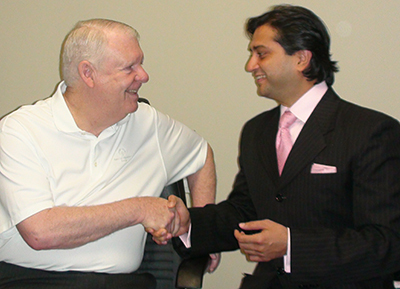 Thus, Dr. Gulani can treat presbyopia with the same IOLs used for cataract surgery. Further, Dr. Gulani can also combine Advanced Laser Vision Surgery following your cataract surgery to complete the vision goal for your eye. Since presbyopia can occur with other vision problems, choosing the right procedure or combination of procedures is important, and why Dr. Gulani’s comprehensive eye surgery experience and knowledge can make all the difference. To learn more about presbyopia, IOLs and what may be your best option to treat presbyopia, please email us or call our office at 1-888-Lasik-16 or 904-296-7393, and we will be happy to arrange a personal consultation for you. 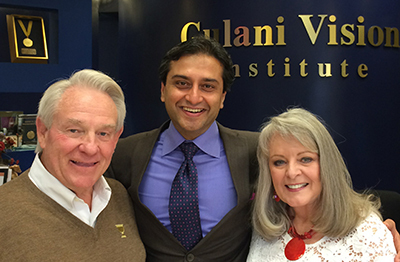 We welcome you to the Gulani Vision Institute and will be happy to schedule a personal consultation for you. Please call us at 1-888-Lasik-16 or 904-296-7393 or Click Here to Schedule Your Personalized Vision Consultation today.